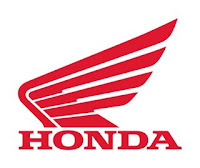 Astra Honda Motor (AHM) is a company manufacturing & distribution of the largest motorcycle in Indonesia, with the number of employees more than 10,000 people. In accordance with the vision of the company, PT Astra Honda Motor is always working to provide the best mobility solution that is able to meet customer needs with world-class management system. For that we need the best human resources in a creative, innovative, competitive and ready to join in achieving that goal. In HR management, PT Astra Honda Motor has a system of management of human resources professionals with the principles of Fair Internally and Externally Competitive accompanied by the development of human resources through training programs and other development and a clear career path in line with the development of the motorcycle business increased. Every person at PT Astra Honda Motor valued in accordance with the achievements and potential, if you are a person who meets the desired qualifications, we wait for your presence to join PT Astra Honda Motor. Facing the challenges of the motorcycle market in Indonesia intensifies, PT Astra Honda Motor requires human resources in a creative, competitive, and innovative. For that PT Astra Honda Motor opens career opportunities in the manufacturing of the world with a career system Internally and Externally Competitive Fair. Mastering the basics of finance and accounting. Have a high integrity, honest and conscientious. Have a good English language skills. Understand in the Programming Language (Java, Net, ABAP). Understand in the operating system and data base (RDBMS). Able to communicate and cooperate well in a team or external parties. Have a good computer skills. Have good interpersonal skills ability. High willingness to learn and explore the capabilities of IT technology. have a good persuasion skills. Have a good good durability in high work demands. D3 majoring in Accounting / Economics / Logistics Management with GPA min 3:00.